KJ did not do the robot with his free arm while dribbling. That would be ridiculous. KJ did not have a flaming basketball in place of his left hand. Though, that would be awesome. KJ did, in fact, have a tiny little mustache. 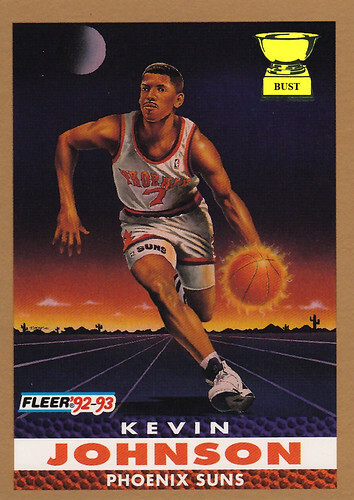 It notched 200 assists in 1992-93. KJ did not play basketball on a football field. That would be impossible. KJ did not play basketball outside in Phoenix. It's, like, 130 degrees there, isn't it? KJ did, in fact, become mayor of Sacramento, Calif., largely thanks to the anti-Olajuwon vote. I love the pre-Barkley Suns uniforms. K.J. should be in the Hall.